Starwalk of Dallas has the Taste the Rainbow inflatable water slide. Catch your own rainbow with our 18 foot tall 32 foot long water slide rental. 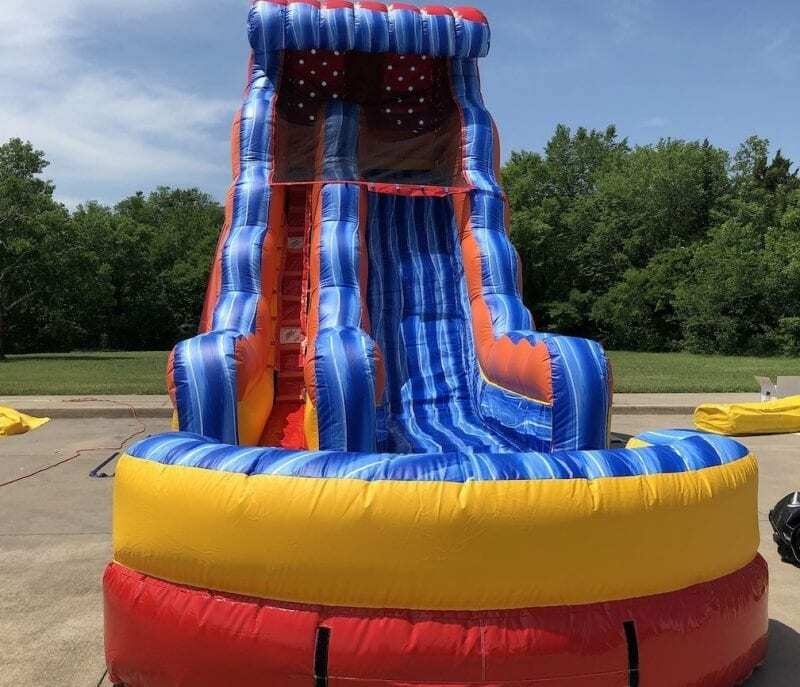 Our Taste The Rainbow water slide will brighten up your day with just one look of this brightly colored water slide that can be used for ages 5 and up. While you can’t touch the sky from the top of the water slide, you may just be able to get a bit more sun. Sliding down the long slippery slide to feel like you are sliding down an actual rainbow! 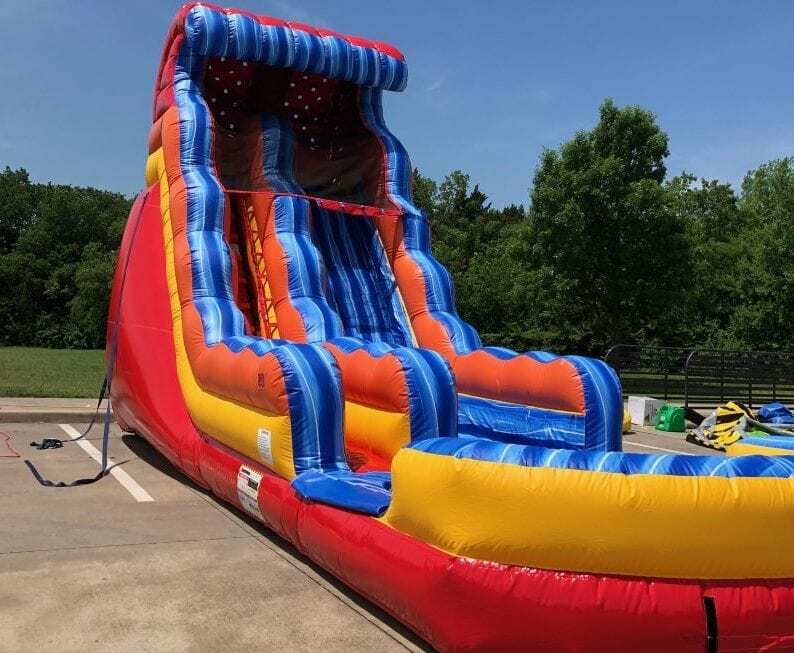 Talk about having fun on a slide, the Star Walk of Dallas water slide rental makes this inflatable water slide rental one of our most popular. With the hot and humid weather in Texas, this unit is perfect to cool off on our 100 degree days. The is a single lane water slide great for ages 5 and up.